PING YANG, March 5. —The first land fight! The first contact of the Japanese and Russians on the land and the first powder actually burned by the land forces occurred at Ping Yang on the morning of February 28th. A scouting party of Russian Cossacks, crossing the Yalu at Wiju, had ventured 200 miles south into Korea to get in touch with the Japanese and discover how far north they had penetrated. Three Americans escorting women from the mines of the American concession, fifty miles cast of Anjou, encountered the scouting party of Cossacks at Anjou, on the main Pekin road. They traveled with the troop for a day and described the Cossacks as splendid looking soldiers, perfect horsemen and mounted on sturdy Russian ponies. As an instance of the discipline of the men the following is related: One of the Americans had given a trooper the makings of a cigarette. The soldier, sitting in the saddle, had just begun to roll the cigarette when the command was given for them to break into a gallop. Away fluttered tobacco and rice paper as the soldier instantly obeyed. The Cossacks had not the slightest idea of where they would pick up with the Japanese, and each village was a possible and probable ambuscade. Approaching a village, they dismounted and spread out, and in this order they entered, with their horses between them and the houses. But no Japanese did they encounter till they reached the ancient walled city of Ping Yang, the scene of the slaughter of the Chinese by the Japanese in 1894 and a city whose written history leaps boldly back into the centuries before Christ. Here in the pleasant valley beyond the walls of Ping Yang the Cossacks, twenty in number, ran upon five Japanese cavalry. A race resulted, the Cossacks pursuing and only giving over when met with a hot fire from the wall. To Company 7 of the Forty-sixth Regiment of infantry, Twelfth Division of the Japanese army, belongs the honor of firing the first shots on the land. Fourteen men of this company, under command of First Lieutenant C. Yoshimura, ensconced upon the crumbling battlement, had watched the chase as it led up to them. At 700 meters (about 2,300 feet) distance, time 9:30 a.m., they opened fire. The Cossacks promptly whirled their horses and rode away. Thirty shots were fired in all, to which the Cossacks made no reply. They had fulfilled their errand of finding the Japanese and wisely entertained no idea of capturing Ping Yang. It is remarkable that none was killed or wounded by such short range fire. The Japanese explain it by the fact that they were afraid of hitting their own fleeing cavalry. They aver, however, that two Cossacks were seen to dismount from evidently wounded horses and lead them away. So Russian blood was shed in the first land engagement, even if it was only horse blood. Lieutenant C. Yoshimura gave the command to fire and was the only officer present, though my first details were obtained from a brother officer, Lieutenant Y. Abe, who called upon me in my quarters in a Japanese hotel, and whom I entertained in the Japanese fashion—the only fashion available. We sat on the matting floor of my room, shoes off, drinking tea and saki and eating pickled onions with chopsticks. Between us was the customary hibachi with its few glowing coals, and into it was dropped the ashes from endless cigarettes. The Japanese are inveterate cigarette smokers, and politeness demands that they shall be fed to one’s visitors. Which is all very well, but which is rather hard on the poor correspondent, far from his base of supplies. Lieutenant Abe, by the way, is a typical officer of the new Japan. For all his European uniform and close-cropped beard, he was Oriental. His legs were folded under him to the manner born, and he was very comfortable, while my legs sprawled out awkwardly and required constant shifting to prevent going to sleep, and I was decidedly uncomfortable. A graduate of the military academy at Tokyo, he knew French and English and Chinese, and was studying German at the present moment. After the war was over, he informed me, he was scheduled to return to the academy and take post-graduate courses in military science. The Japanese are surely a military race. Their men are soldiers, and their officers are soldiers. I called upon Captain Kauchiba of the Pioneers who lives in the room adjoining mine. He was a very busy man, just now having charge of the construction of the bridge across the Tai-tong river and of the Ping Yang fortifications. He sat on the floor in the midst of a mass of correspondence, maps and plans. Orderlies came and went with innumerable reports, messengers arrived and were dispatched—all serving to punctuate our brief conversation. Between us was the hibachi, cigarettes were offered, and tea ordered. The wall was lined with military chests, of a size convenient for pack ponies. Saddle bags, belt and saber hung on the wall. There was no table. All his work was done on the floor. His men had marched up on Seoul averaging twenty miles a day; and on my inquiring about sore feet he reluctantly admitted that some of his men were suffering, but added immediately that they were so fired with love of country that sore feet would not matter when it came to fighting the Russians. So far as the Russians were concerned- there was no such thing as sore feet, was his way of putting it. Some few of them might be in poor condition for marching, but all were in good condition for fighting. I was in search of horseshoes and departed after a brief ten minutes with a letter to an officer of cavalry. Also, I carried with me Captain Kauchiba’s promise of an additional set of shoes from himself. In all such matters of help and advice the Japanese officers have shown themselves uniformly courteous and kind, and though they are busy men they always have a minute to spare for the stray correspondent seeking help of some sort or other. 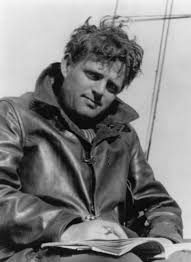 The collected journalism of Jack London and other American writers is available at The Archive of American Journalism.